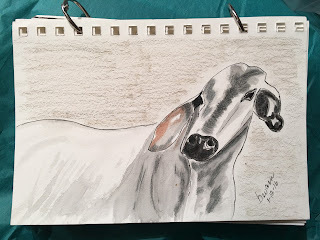 Bev Ann's Mixed Bag : Daily Sketch - Day 12 through 19! The cat was Day 18 and below is Day 19. I've tried to do something special for each day, but today I studied perspective and these are the results. Still have lots to learn, but pretty pleased with how these turned out, so Day 19 is now complete! I will be back soon with a post of my latest yarns and Bible Journaling!